number successful businesses, and during this time served as a volunteer firefighter for 21 years. His interests include Fishing & Diving, Surfing, Squash. 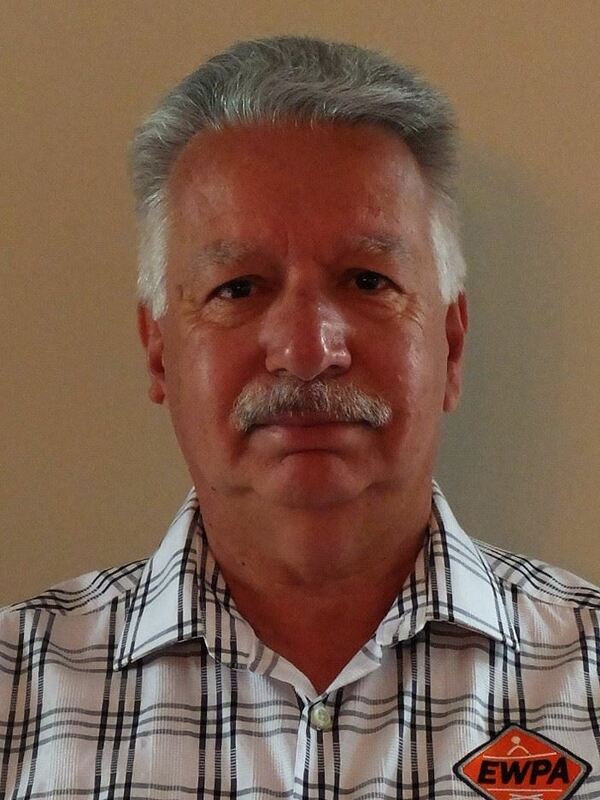 Paul has continually worked in the EWP industry since the middle of 1996. He started with Snorkel, at that time, as their National Sales and Marketing Manager for New Zealand. Along with his Sales and Marketing role, he was involved with the factory in Levin and Snorkels service providers around New Zealand. Operator training and safety were always a large part of what Snorkel believed in. In 1999 he was one of three who established, what became, HIANZ Silver card training for the Hire association. In 2009 Paul left Snorkel and started Hire Knowledge Ltd a specialised EWP training company working nationwide. At the end of 2012 he gave technical assistance to the ITO for re-writing the NZQA Unit Standard assessments which are now being used by the ITO for all the assessors. Being part of the team that put together the “Best Practice guide” he still attends national and international events to keep up with all thing’s EWP. After a term on the HIANZ board, he joined the EWPA board in 2014. He enjoys giving back to industry and in his spare time likes all forms of motor racing and restoring VMX motorcycles. been in the EWP industry for over 13 years. Rob started out his professional life as a Fork Lift truck Engineer and was lured to the bright lights of New Zealand from the UK back in 1998. He got out of Fork Lifts and in to the EWP industry in 2000 and never looked back. Rob is an avid fishing nut (especially game fishing). Management with Technology (NZ Level 6) and additionally NZQA Occupational Health & Safety Management. Despite his youth full looks, he has over 20 years experience in the Plant & Construction industry in both UK & NZ, having worked with many of the market leaders in every facet of the business. served between Hewden, Bob Tait & Vibroplant. Workshop Manager for the Northern Region (4 years). Andrew has spent almost 19 years at Hirepool and there are few parts of the business which have escaped his scrutiny and attention. Starting as a mechanic at the Penrose branch back 1996 he smoothly adapted to operational and later charge roles as assistant branch manager, became Auckland workshops manager and then, in succession, National Equipment, Operations and Assets manager. suppliers supporting a fleet of more than 58,000 rental assets across the business with a replacement value exceeding $300M. Scott has been employed in various machinery hire, service and repair businesses for the last 18+ years and the last 8 of those years have involved supply and maintenance of EWP’s during his roles with Powerlift and more recently Access Solutions. company-wide customer service standards. His diverse industry background in machinery maintenance, rebuild and repair procedures gives him a solid understanding of engineering principals and standards required to ensure a machinery fleet is compliant and safe for the customer & operators that use the gear. Scott assumed the General Manager role in 2015, with a renewed focus to maintain and improve on the current high standards of machinery presentation, safety and customer service that Access Solutions is already well known for. He leads a team of over 50 staff nationally who collectively look after over 1200 company and customer owned EWP and Forklift assets nationwide. Scott has a passion for presenting high quality machinery in the best possible condition to the highest level of compliance and safety standards. This attributes combined with his cooperative and analytical personality traits are valued by his peers. Brian is the Operations Manager at JLG Access Equipment and Services NZ. He has been employed by JLG NZ for the past two years as the Operations Manager overseeing the NZ sales, parts and service business. During his short time in NZ he works to ensure that JLG NZ leads the way in compliance with the relevant NZ Best Practice Guidelines, relevant Australian and NZ standards while ensuring that the highest possible safety and quality standards are met and exceeded. 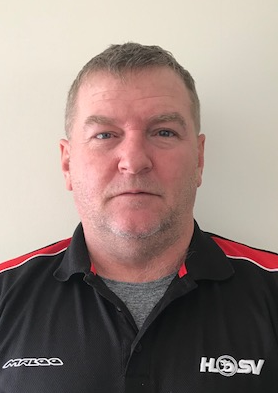 Prior to commencing with JLG NZ, Brian was employed as the Area Service Manager for Coates Hire based in Darwin, Australia looking after all Coates Hire branches and sites in the Northern Territory and for a 14 month period all branches and sites in North West Western Australia. These sites included mine sites, construction sites, active gas sites and under construction gas sites. One of his main roles was ensuring compliance of nearly 1000 pieces of access equipment supplied by many different manufacturers. Prior to Coates Hire he was employed in the Australian Regular Army as a diesel mechanic for over 21 years leaving the Australian Army as an Artificer Sergeant Major (ASM), Warrant Officer Class 2 responsible for a Brigade Headquarter and signals regiment compliance to differing mandatory compliance’s checks and audits. During the last year in the Australian Army Brian was awarded the ASM of the year for 2008. As a board member for the EWPA, Brian strives to assist machine operators and owner/users with compliance to the NZ MEWP Best Practice Guidelines and to the relevant standards AS2550:10 and AS/NZS1418:10.